We have – right now – an unprecedented opportunity to change the course of the breast cancer epidemic. People are rising up in response to the recent attacks on women’s health and are demanding that patients come before profits. We will no longer tolerate the corporatization of breast cancer. Breast Cancer Action supporters are on the vanguard of this movement. Together we are learning, mobilizing, and taking action. Take a stand today. 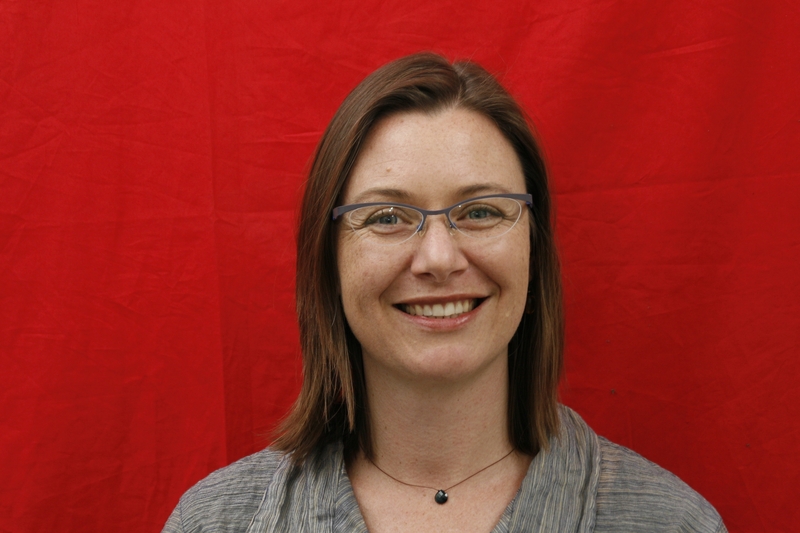 Bring the integrity and truth back to breast cancer advocacy. Get your Pink Ribbons, Inc. Action Package. When you make a donation of $75 or more, we’ll send you a Pink Ribbons, Inc. Action Package as a thank you. 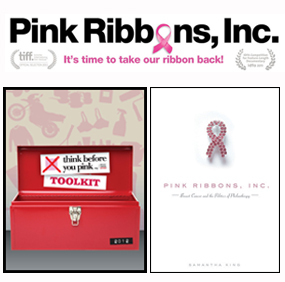 DVD of Pink Ribbons, Inc. – Critics are raving about this game-changing, hard-hitting documentary that examines the commercialization of the pink ribbon. If you’ve seen it, you know what a powerful tool it is for understanding and unpacking the breast cancer industry. With your gift of $75 or more, you’ll receive a voucher for a Pink Ribbons, Inc. DVD, available immediately upon its release this September. Be the first to own a copy that you can share it with your community. Together we’re holding accountable corporations that profit off breast cancer while producing products linked to the disease. Together we’re demanding transparency and change in the breast cancer movement so we end this epidemic. Our goal is to raise $5,000 by June 30th! Help us get there by making your gift to Breast Cancer Action now. 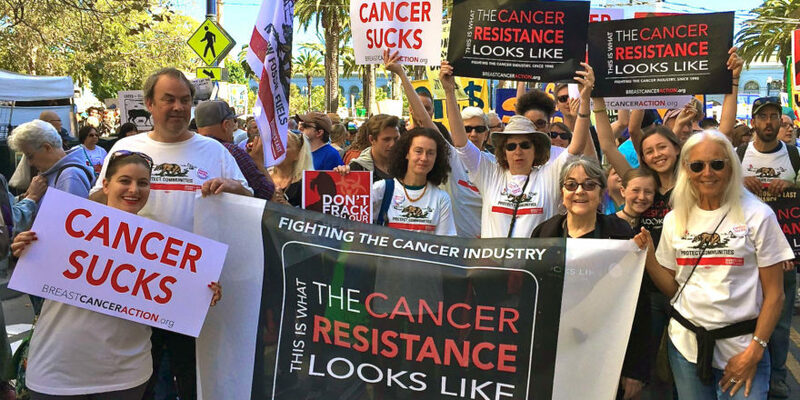 We depend on the support of individuals like you because we do not take money from corporations that profit from or contribute to cancer. We can’t get there without your generous support at this time. When you make a donation of $75 (or a recurring gift of $6.25 a month) or more we’ll send you a Pink Ribbons, Inc. Action Package as a thank you. Put the power of change in your hands. Let’s change the course of the breast cancer epidemic. Thank you for your generous support. P.S. The next nine days are crucial to meeting our $5,000 goal. Make a donation of $75 or more today.